In terms of lead generation, emailing is an “oldie, but goodie.” Never discount the classics—they’re often the most important tools in your arsenal. I’ve talked about it before but today, I want to take our conversation about email marketing a step further, and talk about delivery. You may have the tantalizing title and engaging content—but are you choosing the right way to hit send? If you’re not delivering your emails properly, your efforts could be all for naught. Learn how segmentation amplifies your email campaigns and breathes new life into email marketing. First Off: What Is Segmentation? Segmentation is the result of the natural progression in email. I want to take you back for a minute to 2008, when spam emails comprised 93 percent of total email volume. It was virtually impossible to find your wanted email in the massive amounts of spam in your inbox. That understandably led to some frustration. It also led to the government passing the CAN-SPAM Act, which blocks certain IP addresses when users flag them as spam. For marketers, this is a bit of a sticky wicket. We want to send truly engaging marketing content to convert leads, but if users flag our mail as spam, or find our content irrelevant, we might find ourselves blocked or blacklisted. This is where segmentation shines: It sends the right email, to the right person, at the right time. Historically, the more advanced email marketers, including myself, used to purchase secondary email domains on a new IP address and verify all emails prior to sending a campaign. While that strategy still has merit today, ISP’s and spam services have gotten a lot more sophisticated. They started looking at whether our emails were being opened or clicked on (Engagement). The idea is that if you don’t have a lot of opens or click throughs, your email must not be very important, so ISP’s are less likely to deliver your email. That’s why segmentation has become so important. Here’s the million-dollar question: How do you break your list into segments, and why is that important? The why is easy: When you send the right email to the right person, you’ll increase your chances of getting your email opened and getting a click not to mention potentially converting a lead. You’ll also maximize your deliverability—remember, you don’t want people to think you’re sending irrelevant spam, which translates into your email being flagged and your IP address potentially blocked. Firmographics. Like demographics help you segment individuals, firmographics help you segment companies and organizations by Industry, SIC Code, Annual Revenue, Company Size and location or locations. Psychographics. This is an industry buzzword, which simply means you break your list into groups based on the “why,” rather than the “who.” Once you understand why a prospect or customer needs your product or service, you can tailor your email copy to those needs. Pain point. Every good business owner knows their customers’ pain points. Chances are your products or services address several, and each customer has different ones. Segmenting by pain point can be an effective way to show your leads exactly how your product or service helps eliminate that pain. Think about it when you go to the dentist because your tooth hurts, do you really care how he is going to fix your tooth or do you just want the dentist to make it stop hurting. I’m simplifying the importance of pain, but I’m sure you get what I’m trying to say. Personas. After you have developed a segment your next step is to look at each persona that makes up that segment. There are many possibilities for personas, but I prefer a simplified approach: End User or Customer, Decision Maker, and Financial Authority. Here is a B2B example: The boss tells the employee to find a new email solution, the employee researches solutions and is likely looking for a solution that will be easy to use personally, versus his boss, who will want to know how the new email solutions will make the employee more effective. The financial authority only wants to know how much it will cost the company and the terms of the contract. These are three completely different conversations which is why segmentation is so important. Behavior. One of the most effective ways to segment your email campaigns is by behavior. We use a tool called MakesBridge which allows us to create tags for certain behavior and we use those to create segments. If a person opens an email, they automatically get a follow up email related to the behavior. The open rates for these triggered emails are usually 30-65% and the conversion rates are better than any other campaign we send. This automation and segmentation also supports future deliverability because the ISP’s can track this high level of engagement which impacts our email reputation score. The higher your engagement, the higher your reputation score and the higher the likelihood your emails are delivered into the inbox. Testing. 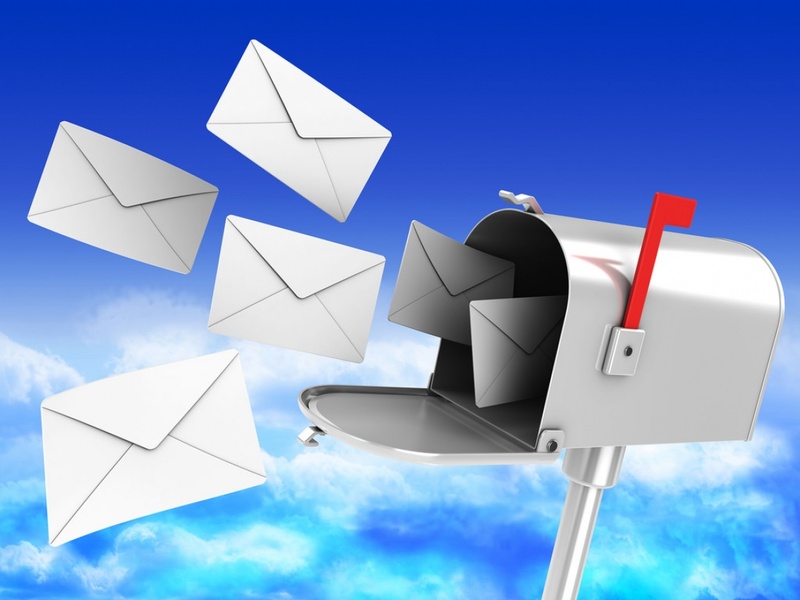 Tracking your email segmentation provides valuable insight. A/B testing, for instance, helps businesses assess the effectiveness of slightly different campaigns. Segmentation options are endless. Just keep in mind the more relevant you are to your audience, the more likely your emails will be opened, clicks to your call to action will increase, and as a result more revenue will be generated. The ROI of segmentation is undeniable, especially when you consider how email marketers report up to a 7,000 percent increase in revenue when using segmentation. If nothing else, that should make segmenting worthy of your consideration. No matter how you slice it—demographics, firmographics, buying history, geography, interest level, behavior, or persona—segmentation can make all the difference. Don’t miss out on your business’ slice of the pie. Shawn is recognized as a top marketing influencer, experienced marketing automation and conversion optimization specialist, provides advanced email marketing and database management expertise, and has a proven track record of helping brands develop demand generation and lead generation programs that deliver results.